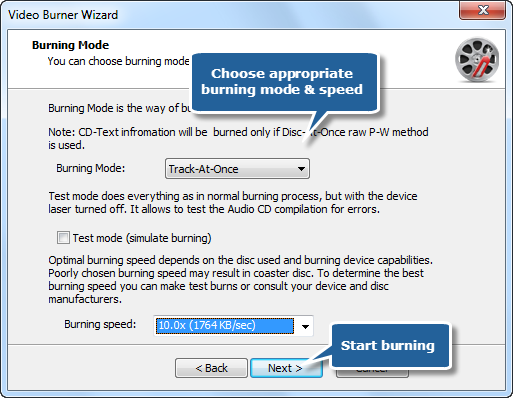 Disc Create Express provides a Video DVD Burner tool to burn movies and concerts onto a DVD disc to enjoy with your disc player. You can burn video files of many formats including AVI, MPG, MPEG, MP4, WMV, MOV, MP4, DAT and HD videos onto DVD. It is also an easy tool to burn video CD with small size videos. Launch Disc Create Express. 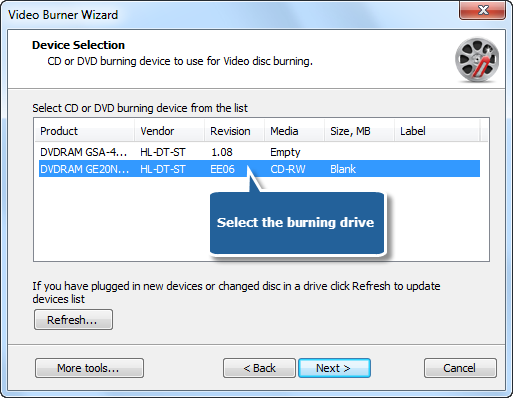 Insert a blank VCD/DVD to the disc drive and click the “VCD/DVD-Video” to run the burner wizard.